RPG gameplay in which players work their way through challenges they can level characters up with experience points. One featuring Bowser as a playable character, and the other revolving around the microbe-sized Mario, Luigi and Peach. Distinctive Nintendo humor featuring the same hilarious dialogue that has been the hallmark of the Mario & Luigi series. Blow into the microphone or tap on the touch screen with the stylus to keep up with the action. 5.0 out of 5 starsEvery RPG Game Should Be Like This. ....then I bought Mario & Luigi Browser's Inside Story and my ENTIRE perspective of RPG has been changed and for good. This game has managed to change my mind, in fact, after playing it, I went around looking for other RPG games, including Final Fantasy! Of course, I also ended up buying Mario & Luigi Partners in time. Now, the game....like I said before, I never liked turn-based games, I'm a button smasher, but the minute I started playing this game, I was hooked, I could not put it down. The story, the controls, the graphics (used on a 3DS),the sound, the entire package is well done and balanced. The story begins at the castle, of course, there's an attack, Peach is taken, oh Peach, she's hopeless...moving on...this dark power takes over...So througout the story, you'll be placed in the shoes...claws of Bowser, who is freaking hilarious, playing as him is a unique experience that everybody should go through. 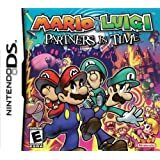 Later one you will be in the shoes of Mario & Luigi, most of the time it will be Mario, but during segments of the game, you will also play as Luigi, never the less, the entire experience makes this one of the best, most fun games I've played in a very long time. You will swap between Bowser and the Bros for combined actions and will also get power ups in the form of Bowser's spike bracelet, Marios shoes, amongst others.... I can't go into any more detail without spoiling the experience. So you'll have to find out for yourself. There's no voice, well, there is, but only from Mario & Luigi, but is jiberish Italian, which is some of the funiest I've seen. Anyway, the entire game is done with captions, gestures. The music, is on par with everything that happens in the game, it's not theatrical material, but it is decent and doesn't overwhelm the FX sounds of the game, plus, it isn't cheesy, at all. A big plus for me. 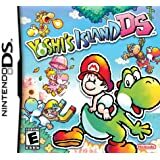 I played all my DS games on a 3DS and the quality of this one is not different. It looks colourful, sharp, perfect. I have nothing to complaint about the graphics. Each pixel has been done according to the game's formula we've all come to love over the years. You will be right at home. Consider this, I am absolutely NEW at RPGs. And this game was as easy as it could be for a newbie like me. Every single input translated into an accurate output. I did not notice a single problem, none whatsoever. The entire experience was a smooth, pleasant ride; there isn't ackward button lay-outs or combos. At instances, you will have to use the stylus, but doing so, was easy, quick and problem free. Like I said, this is a well balanced game. You will also need to use the DS/3DS microphone and the ocational vertical viewing, but again, both are smooth and easy to use. 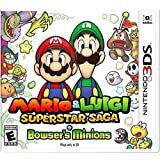 So, if you are an RPG gamer and like Mario franchise, then this is "the" package for you; a fun, exciting story, tight controls and good graphics, plus tons of humor. If you are new, like me, trust me when I say this. You will love this game. For me it was like opening the Pandora's Box of RPG. It gave me a new perspective about the gaming style and also set the standard, at least for me, that every RPG game should be like this. 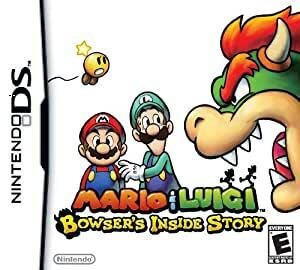 Mario and Luigi Bowser's Inside Story is one of my favorite Mario games. 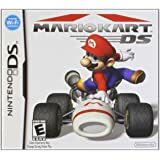 The graphics are beautiful, this game had hard bosses, a humor story, the controls are the same from the last Mario and Luigi game except you are playing Bowser because you have to blow on the microphone and touch on the touch screen during his huge form boss battles, even awesome Bro moves and Bowser's devastating moves. For the first time in Mario and Luigi games: Bowser is a playable character. 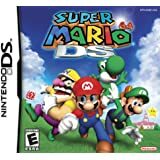 This game had 3 different battles for the player: Mario and Luigi battles, normal Bowser battles, and huge Bowser battles. It starts the unusual when Bowser is ready to kidnap Peach again, but is foiled by Mario again. Bowser meets a strange person wearing a cloak, speaking funny, and awards a strange mushroom to Bowser. It was Fawful who gave Bowser a vacuum mushroom that he ate and he inhaled everything in sight even The Mario Bros, Toad, Starlow, and Peach. Inside Bowser, Mario and Luigi can make Bowser stronger than before, they can make Bowser huge to fight huge bosses on his own when he is in serious danger and Bowser can be a powerful fighter in his own battles. Will the Mario Bros and Bowser save the Mushroom Kingdom from the goofy and crazy Fawful before he gets a certain something from the depths of Mushroom Kingdom and rules the Mushroom Kingdom with a iron fist. 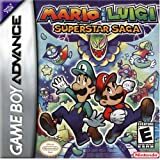 If you love Mario RPG games, Mario and Luigi games are a recommended. When the Mario games are getting better than the Zelda games, something is wrong. Anyone who has played Paper Mario will notice some similarities, such as the funny, and sometimes corny, dialogue, and the turned based battle system with the ability to make counter attacks. The length is also very good for a portable system, requiring many hours of play, very little to none of which is sitting around leveling up. Being able to play as Bowser is also a very nice, and very overdue, feature. Cons would be that some of the special abilities are overcomplicated to master, such as the Bomb-Omb special attack. The minigames of the block massage and the challenge node get annoying after a while. Once you unlock the top tier special attacks and get a -50% SP consumption gear item, the battles become extremely easy, especially the final boss battle. As a game it is great, one both kids and adults will enjoy. It has a pretty good replay value, though it would have been nice if the game were longer and included some kind of post end boss content.